When decorating a bedroom, making it feel peaceful and relaxing is always a priority. Picking up the right colors for your bedroom design palette is therefore crucial. If you’re like most people, you’re looking for a color that will help you relax and eventually put you in the mood for sleep. Reviewing what color theory tells us, we have a few actionable suggestions for you. A calm-inducing color palette for a bedroom doesn’t have to be all white. Instead, you can choose the softer hues of your favorite color. For your walls, choose pastel and earth-tones shades and you can design a bedroom that’s both relaxing and gorgeous. Keep reading for more detail – and examples too. 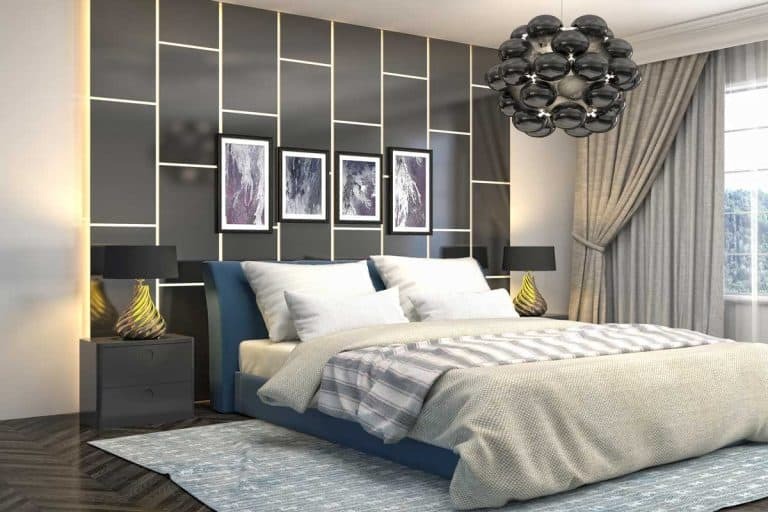 Good interior design is a marriage between form and function, and few rooms marry those principles more obviously or importantly than your bedroom. 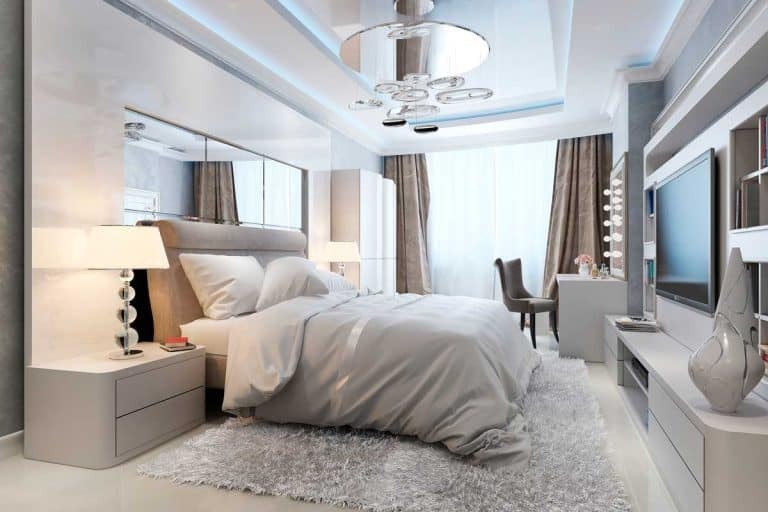 There are many different features in a successful bedroom in general and master bedroom, in particular, that can evoke a sense of elegance, beauty, comfort, and personality. Far too often, however, walls are not considered to be one of them. That’s unfortunate, given the fact that your walls are the biggest feature in the room size-wise and thus offer the biggest canvas for you to work your decorating mastery. Let’s take a look at a few colorful – yet very relaxing – options. Few colors are more commonly associated with floral and regal beauty than purple. It should come as no surprise, therefore, that it’s also a popular color for soothing, satisfying bedroom décor. That being said, bright or even royal purple is typically used in order to call attention to the wearer, hence its historic popularity among royalty. As such, you’ll want to opt for lighter shades of purple in your bedroom décor. Lighter purples can be perfect though if this is a color you like. This might mean looking into something that’s closer to lavender. These shades can often make it feel as though you are “living inside” a flower, with lavender petals spread out all around you – and what could be more relaxing than that? Check out our guide about wallpaper vs. paint to see what other pros and cons may be. One of the best tips for finding a paint color that’s soothing is to look to nature. Few things have a greater capacity to relax us, and evoking a sense of nature in the bedroom can be a positively inspired choice. As such, opting for softer green colors can be a great choice for those looking to choose a relaxing color for their interior. In addition, green has the happy bonus of striking a nice balance between warmth and coolness. Where red is too hot, white too cold, and both too loud to be soothing, green is just right in these scenarios, as long as you don’t opt for neon green or similar shade. This shouldn’t be too hard, as there are many different shades of green from which to choose. In this respect, less is often more. You don’t need big splashes of bright green, but just a hint of it to help evoke a soothing sense of nature in your boudoir. As established above, one of the keys to finding a soothing paint color for your bedroom is to find a way to make it evoke something in nature – and what better sources of inspiration are there in that regard than the sea and sky? Satellite images from far across the solar system show Earth to appear to the rest of the cosmos as blue, so much so Carl Sagan famously described our planet as “The Pale Blue Dot.” Between the sea and sky, blue has a sense of the infinite about it as well. All of that makes for an incredibly soothing color – when used properly. If you opt for a bright or neon blue, you’re not so much evoking the quiet majesty of the sea or sky as you are that of a nightclub. You thus want to make sure that you’re picking the right shade of blue – and, here again, the sea and sky are huge helpers. We typically see the sky as a darker blue than that of the sky, which is typically lighter in hue. Choosing a blue that’s close to either of those hues can be an incredibly soothing and thus satisfying choice. Whether you’re more of a coffee or tea person, you know how soothing a cup of either or both can be, especially before or after a long hard day at work. Beige and cream-colored walls can work in much the same way. What’s more, like some of the options above, they’re great for allowing warmth into a room without making it excessively bright. This can be the case with even lighter shades, such as white or eggshell. Flip the light switch on, and suddenly a room painted these colors can seem far too bright, or even harsh and alien. 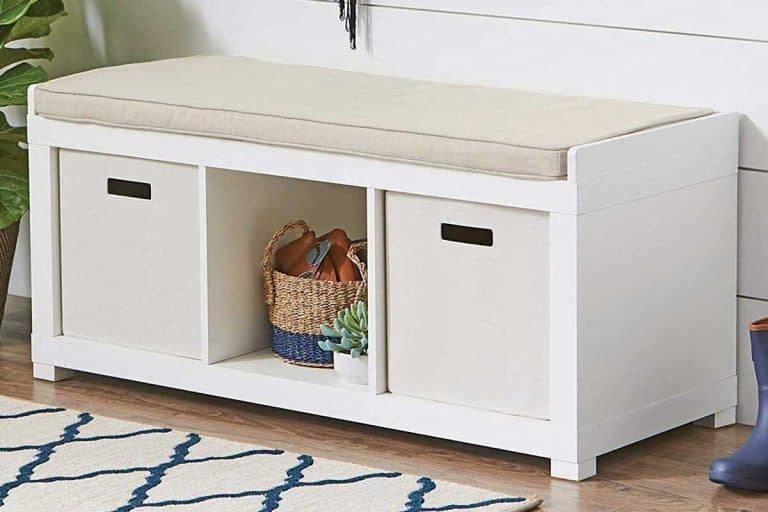 By contrast, beige and cream allow for a nice balance – light and warm enough to keep your room nice and bright year-round, but not so light as to risk it becoming too bright. By contrast, beige and cream are nearly always warm and inviting, making them quite relaxing alternatives. Is there anything more soothing than hearing the soft pitter-patter of rain outside whilst sitting cozily in bed, wrapped up in blankets and enjoying a nice cup of tea? 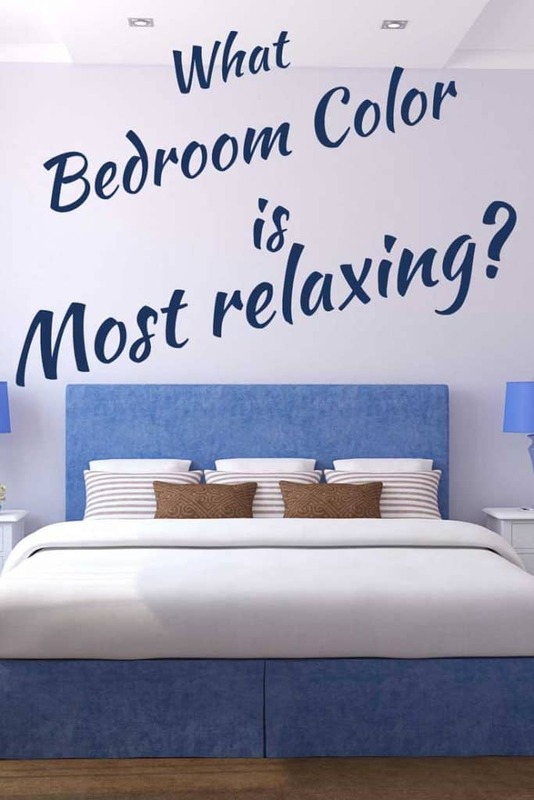 For as violent and disruptive as they can be, there’s still something extremely relaxing about stormy weather (so long as you’re not out in the storm itself) and a cool grey paint job for your bedroom can help evoke that feeling no matter the weather outside. Of course, how soothing this is will, as with an actual rainstorm, depend greatly on the temperament of that wall of greyness. The darker the grey, or the more haphazard the pattern, and the more your interior can start to resemble something moody and stormy – in all the worst, unrelaxing ways. On the other hand, a nice, even, cool grey paint job from one end of the room to the other can, like a light drizzle, feel naturally soothing. Take a look at these bedrooms with gray walls – don’t they look relaxing? As demonstrated, there is a wide range of different colors that can be used to create a relaxing bedroom interior. That said, there are any number of different ways to create a soothing bedroom interior, and much of it comes down to what you yourself find to be soothing. Your best strategy, therefore, might be to simply think about what you find relaxing, and choose a color accordingly. And then, move beyond the wall color. Think about adding furniture and decor items made of soft natural materials and creating an overall clean and decluttered look. Bring your design together to create a bedroom you can truly enjoy and relax in!